No culinary sojourn to France would be complete without sampling (read over-indulging in) the wonderful wines of France. For me, the varieties of the Bordeaux region are a particular favourite with their oldest red grape variety being Cabernet-Sauvignon, it gives you very tannic red wines with aromas of ripe black currant, green pepper or even liquorice and their white grape varieties Sémillion, it gives you an elegant wine with aromas of toasted almonds, acacia flowers and cinnamon or their Sauvignon varieties which is rich in sugar and produce amazing liquoreux wines in Sauternes or dry perfumed whites wines with aromas of rosewood, spices and fennel in Entre-deux-Mers. Some of the most outstanding wine Chateaus in the country are situated on the rolling hills of Bordeaux and most have cellar doors which offer wine tastings and retail sales. 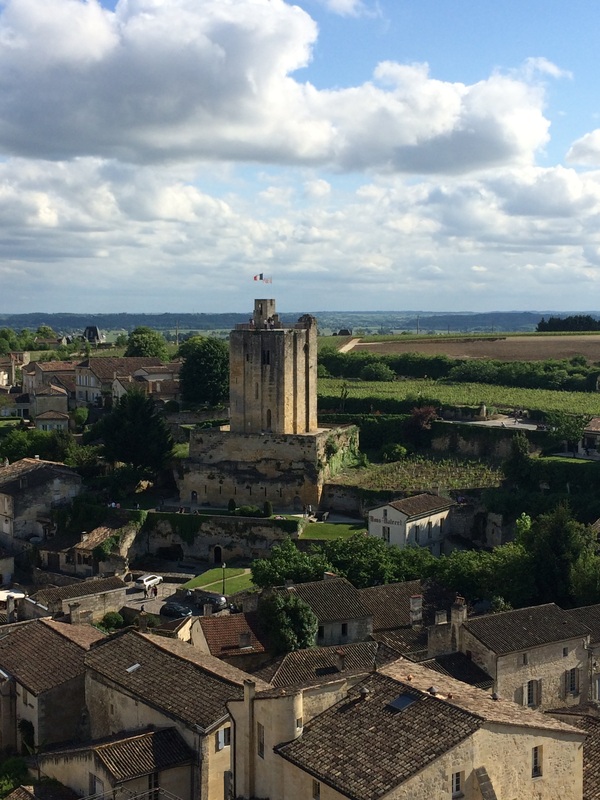 Also sitting pretty among the vineyards is the quaint medieval town of St. Emilion. This place ticks the boxes for all kinds of tourists, from history buffs (there are the ruins of a Church destroyed in the 100 years war), to foodies (the stunning Hostellerie de Plaisance restaurant is perched at the top of the town with a fabulous view) and naturally, wine lovers! With so many options, it’s easy to become overwhelmed with choice so I recommend visiting one of the great cellar doors in St. Emilion which carry an exemplary edit of everything the region’s châteaus have to offer. A good friend from St Emilion Cellar Door took me through his picks for my palette and thankfully they can also ship your wine home for you, so I could buy as much as I wanted without having to lug around bottles for the rest the trip! The Madame and I only had one short day in Bordeaux and it turned out to be such a stunning one that the friend with whom we were staying insisted we head to the pacific coast for some beach time. Lunchtime on a beach day in Australia normally means some fish and chips, or maybe a picnic lunch, but this is France and “le midi” is a sacred time. 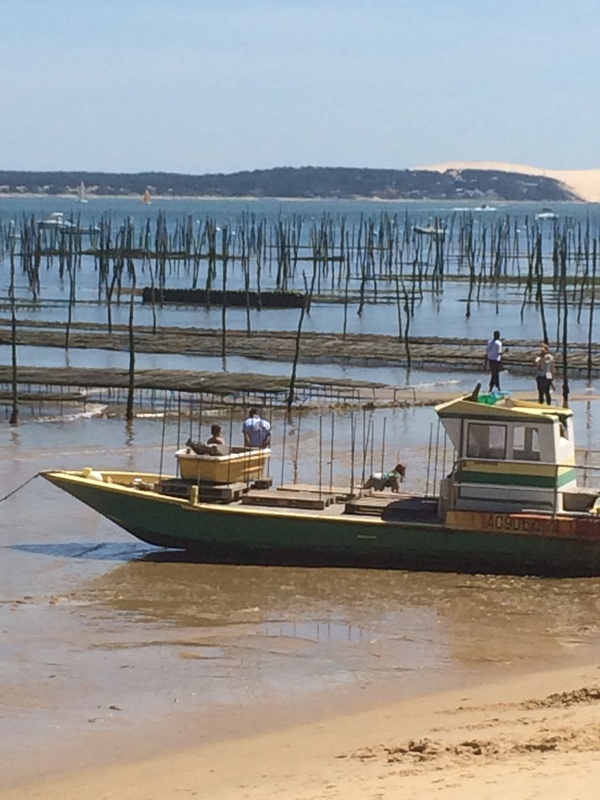 On the way to the coast, and situated about an hours drive from Bordeaux, is Cap-Ferret, a hub for holidaymakers, and trendy mover and shakers in the summer months. For those who live in Victoria, this place has a similar vibe to Lorne, on the Great Ocean Road, so Cap-Ferret instantly made us feel at home. We sat down to our host’s favourite lunch spot L’Escale, which sits right on the beach overlooking the Oyster Fields out in the bay. Even though it was only Spring, the sunshine had brought us Frenchies out of the woodworks so there was a 30 minute wait to get a table. Finally, with an icy glass of Rosé in hand, and some of the freshest, most delicious seafood I’ve tasted on my plate, I couldn’t help wondering how I’ll ever be able to go back to a packed-lunch on Aussie beach days ever again. 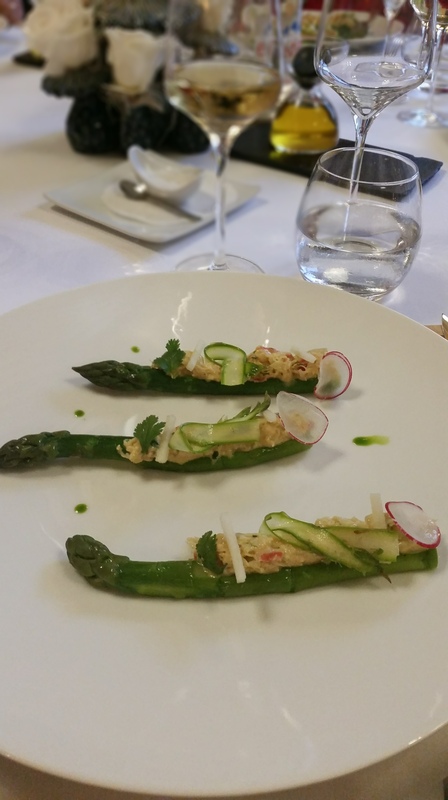 For dinner in the city of Bordeaux itself, there was only one place on my list, and, knowing my love for the great chef, Rick Stein, you can probably guess where that was – La Tupina. Yes, it’s touristy, and yes, it probably isn’t what it was back in the Rick Stein’s French Food Odyssey days, but I’m glad that I ticked it off my list. Naturally, the non-negotiable menu item was the potatoes cooked in duck fat, which they cook over a fire in the giant fireplace that fills the restaurant entry. I am slightly disappointed to report that while they were tasty enough, they certainly weren’t the best potatoes cooked in duck fat I’d ever eaten and I enjoyed other items from the menu much more. What it does say is that while the old institutions still have their place, don’t be afraid to stray off the beaten path when finding somewhere to eat on holidays – seek out local recommendations for places where the locals eat! There’s so much so say about this department of France that I simply couldn’t squeeze it all into one installment. 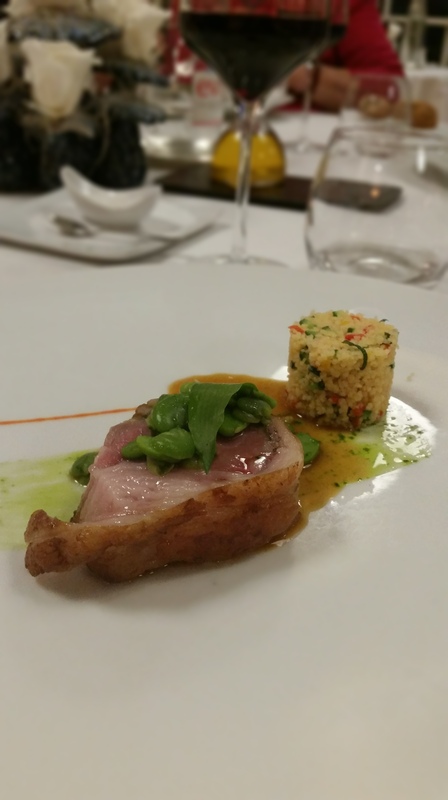 If you’re not the market faring kind but want to sample the Dordogne’s bounty of famous produce, then visiting one of its countless restaurants is a must. By no means do you need to dine in the most fancy establishments to eat well either, as when the produce is local and seasonal even the more humble restaurants can serve a quality meal without breaking your budget. That being said, if you are in the Trémolat area and can justify treating yourself to a Michelin star meal (you only live once! 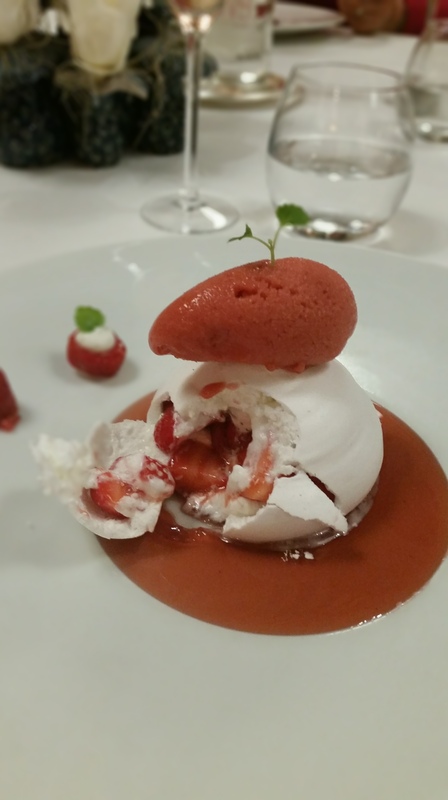 ), then I highly, highly recommend you making a booking at Le Vieux Logis. A boutique hotel and gourmet restaurant belonging to the acclaimed Relais-Châteaux group, you can enjoy a degustation dinner with matching wine for €115 or there’s an à la carte menu to choose from. 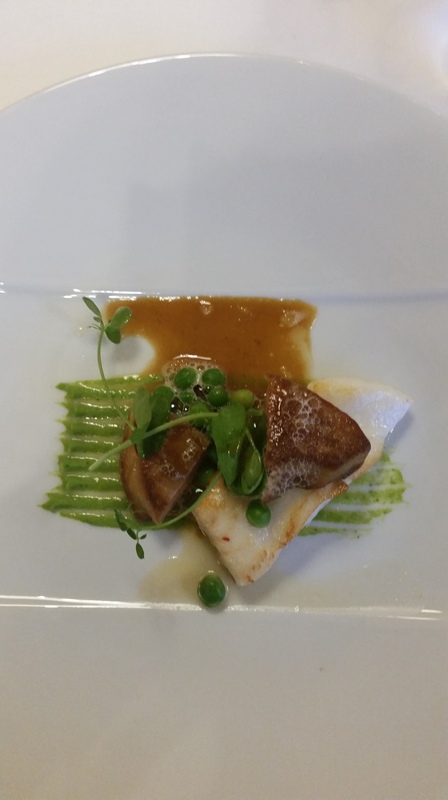 The food is beautifully presented and tastes exquisite, and the service is faultless but personable. 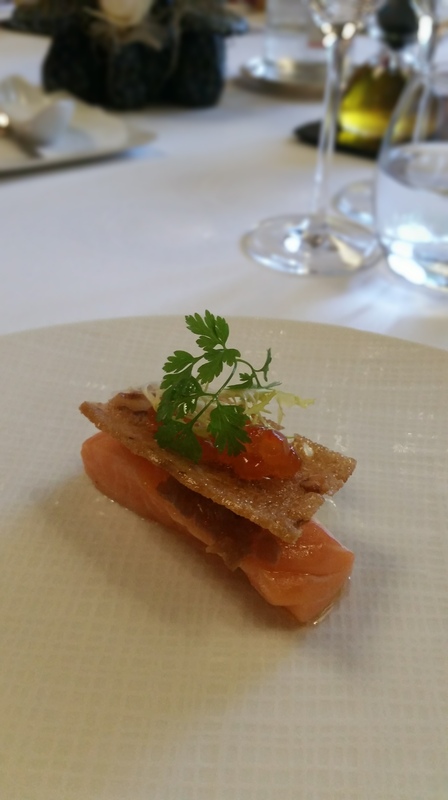 As delicious as the dining is at Le Vieux Logis, my favourite place to eat in the Dordogne doesn’t have a Michelin star, nor is it fine dining. It’s a rustic, family run restaurant in the charming town of Cadouin, called Le Restaurant de L’Abbaye, and I know the food is great because this happens to be where I completed my cooking apprenticeship! Every meal starts with their house specialty Tourin à l’ail (garlic soup), their menu is full of country classics like magret de canard, foie gras, and salade perigourdine and their mousse au chocolat is a guilty pleasure I treat myself to every time I visit. If you’re travelling in the summer months, a booking is essential. 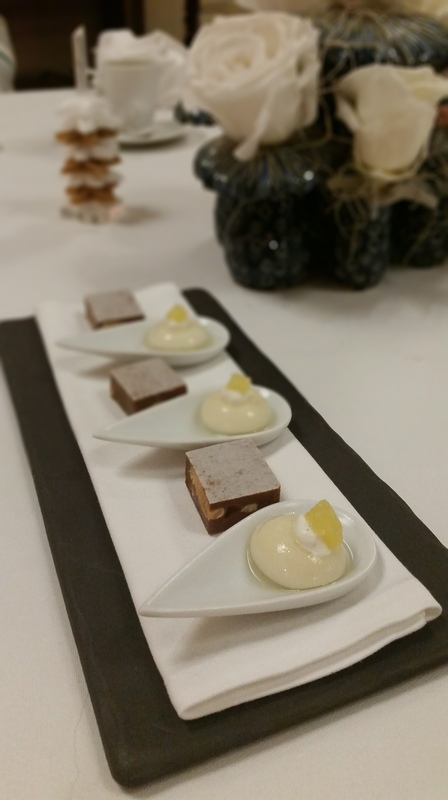 As a special treat, the head chef of the Restaurant de L’Abbaye has kindly agreed to share the recipes for both his garlic soup and chocolate mousse. Look out for them on the blog in the coming days! For those who haven’t had the pleasure of an entrecôte, it’s basically a rib eye without the bone, but it tastes different because of the different breed of cows between Australia and France. Being a rainy Monday night in Montpellier when not a lot was open, and still full to the brim with frites and steak, we opted for a casual dinner of take-away burgers as this seemed to be a real trend sweeping the town. We found a great little place, which I suppose was the equivalent of Australia’s Grill’d, called 321 Burger where the meat was cooked to your liking, as were the toppings. 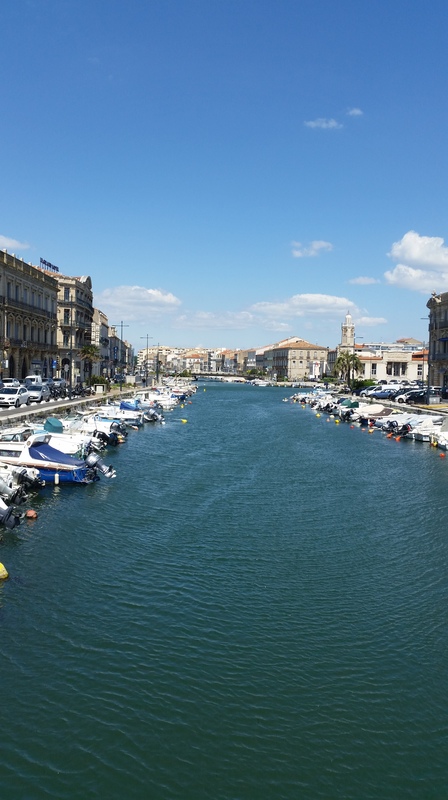 Moving onto the seaside town of Sète, the skies were kind and provided a perfect backdrop of bright blue to the fishing boats and the café-lined main street. Being a town with a fishing heritage, you’d be correct in thinking the seafood here is great, it is. Along the main street stands restaurant after restaurant, proprietors out the front beckoning tourists to dine with them. The one that took our fancy, Porto Pollo, had a large blackboard, separate to the usual tourist menu, with “Moules Frites 13€” written in huge letters. We were sold and not disappointed. I overheard the owner telling another customer that they’d recently reduced the size of their menu which meant was that everything that remained was fresh, nothing frozen, and I could taste said freshness with every little garlic butter drizzled mussel I ate. 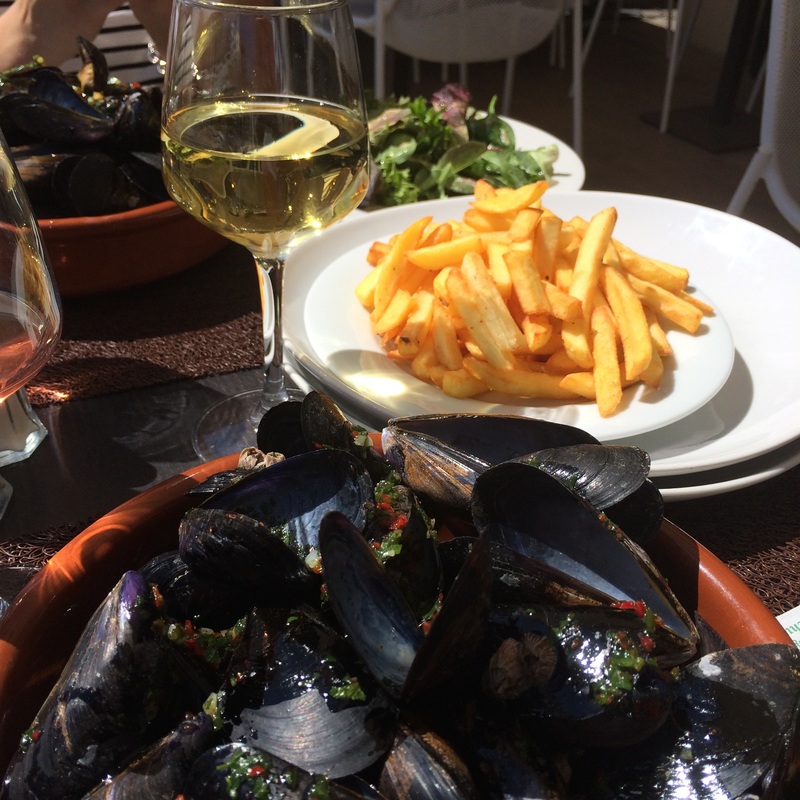 Add some crispy shoestring fries, a cold glass of Rosé and the warmth of the Midday sun, and there’s not much more you can ask of a day in the South of France! I hope you enjoyed a taste (get it?!) of some of the French dishes that I love cooking and sharing during the holiday season. Over the next few posts I’ll show you what’s on my menu for an Australian Christmas Lunch, but with a small French twist of course! Summer in the land down under is all about seafood, and we are so lucky to enjoy such great quality produce. It’s a must on the menu so for my Christmas Day entrée I’ve chosen Mussels in a white wine and garlic sauce. 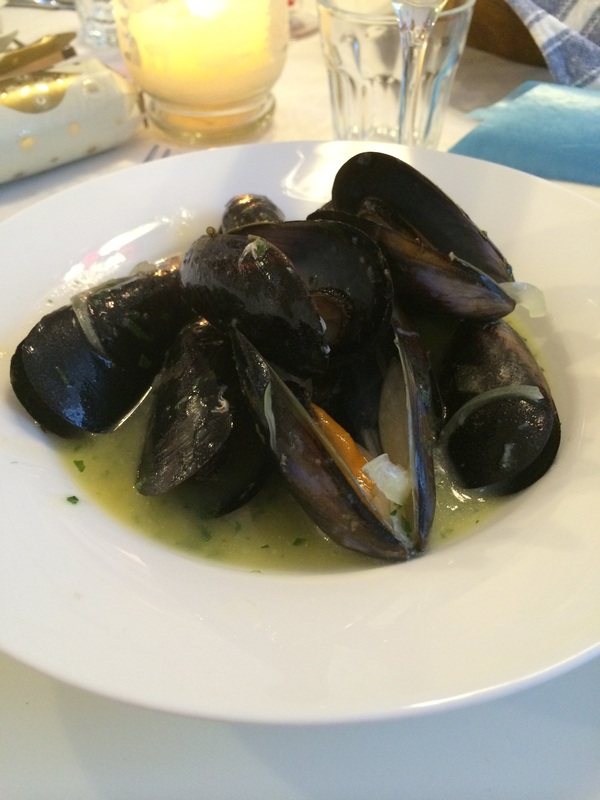 The sauce is just as important as the mussels in this dish and shouldn’t be left behind. So, make sure to pair with a fresh baguette or loaf of your choice. Main is the classic turkey, but for those of you who find the whole bird daunting, why not try a Turkey breast roast! You can treat it almost like a pork loin roast, with a flavoursome stuffing (like the fig, hazelnut and orange one I’ve made), served with a sweet cranberry relish to top it off. It’s much easier, still looks impressive on the Christmas table and will also taste delicious as leftovers in a Boxing Day sandwich. I’d never had a trifle before I’d come to Australia, but now I couldn’t imagine a Christmas day without one. Family secret ingredients abound with this dish, and I’d wager that no two taste the same. I love this kind of dish, which allows people to truly make it their own. It may not be haute cuisine, but it’s fun, casual and refreshing on a hot day, which to me describes the perfect Aussie Christmas dish to finish off a festive family gathering. So dig in, and have a very Merry Christmas! Heat up a deep cooking pot on medium heat with a little bit of olive oil. Dice the onion and crush the garlic. Wash, dry and chop the parsley. Put the mussels into the hot cooking pot, pour in the white wine, onion and garlic, cover with a lid and cook for approximately 3-4 minutes until the mussels open up. Add the parsley and butter, cook for a few more minutes on low heat so that butter slowly melts and combines with the mussel juice. You can thicken the sauce a little bit if you want with a little bit of corn flour mixed with some water or leave the sauce as is, which is what I did as I find it refreshing. Serve straight away with some crusty, fresh bread to soak up all the delicious juice! We’re very lucky in Australia to have such a large variety of fresh, delicious seafood available to us. Ocean trout is a great example of this, and though it’s not as common a choice as its pink-fleshed friend, salmon, it’s a great alternative for a few reasons. Its flavour is more robust, it’s leaner in fat, and personally I feel it’s a more refined choice. 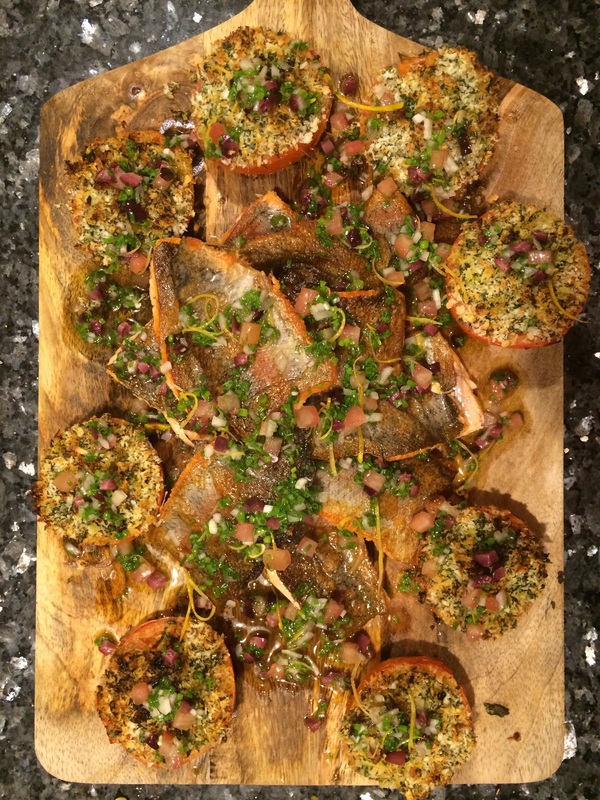 Sauce vierge is a classic and simple sauce full of crisp summer flavours and is the perfect complement for seafood dishes like this trout (it’s also wonderful with prawns). In keeping with the lightness of this dish, I’ve chosen an easy garnish of tomatoes provençal. It goes without saying that the riper and fresher the tomatoes are the better this dish will be. Put the tomato in boiling water for 20 seconds, then take it out and refresh it in cold water. Peel the tomato, then cut it in quarters and, using a small knife, take the seeds out. Finely dice the tomato and keep aside. Finely chop the shallot, olives and the chive. Using a peeler, peel the rind of the lemon and slice it in thin filaments (Julienne). Combine all the ingredients in a small bowl as well as the vinegar and the lemon juice. Add about 100mL of olive oil, season with salt and pepper and stir. The consistency should be like a runny salsa. Cut the tomatoes in half and take the seed out using a spoon. Wash and dry the parsley and finely chop it. Crush the garlic and mix it with the breadcrumbs and the parsley. Season the tomatoes with salt and pepper and fill them with the parsley mix. Drizzle with olive oil and cook the tomatoes in the oven for 10-12 minutes at 200 degrees. You’ll know they are ready when they’re soft when pressed gently, and the breadcrumb is golden on top. Preheat a medium size shallow frying pan on a high heat with a little bit of olive oil. Season the fish with salt and pepper. Lower the heat to medium and cook the trout skin side down until only the top of the fish remains raw, then turn it, cook for 10 seconds and take it out. You want the trout to still be a little pink. Serve with the tomatoes and the “sauce vierge” drizzled over the top. With this dish I recommend a white wine from the south west of France: Chateaux “La Bastide” Cote Du Marmandais, available from www.airoldifinewines.com.au.